Strap in and get ready to roll. 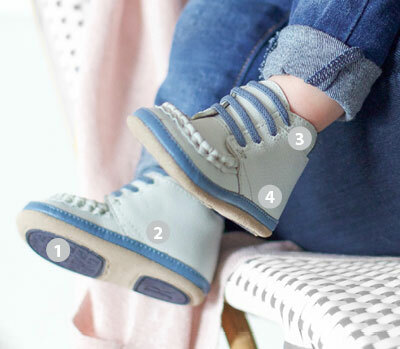 These high tops are built with your active little one in mind. These were a pair sent to me by Robeez to replace a pair with defective stitching. After three days the white part of the bottom outsole on the heel was already worn through, revealing the green tread material. The white material used is far too thin to support the green tread it is stitched to, let alone to be walked on. My previous Robeez booties were much better quality. Disappointed and done with Robeez. Robeez Note: Sabrina, we are sorry you are having problems with our shoes. 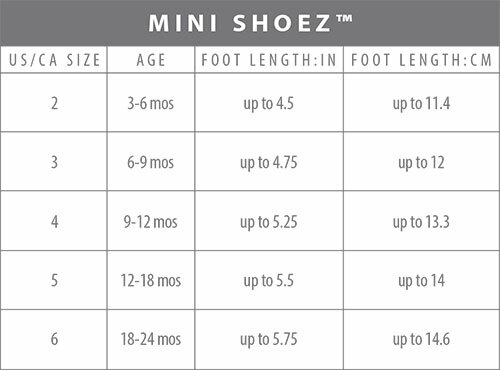 Someone from Customer Service will be reaching out to you to help you and get you a shoe style that works for you.